SharkCon 2016 – A Weekend of Fun | Dive Industry Association, Inc.
What could be more fun than to spend the weekend with Sharks, Mermaids, a bunch of Divers and hundreds of people who love the ocean environment? 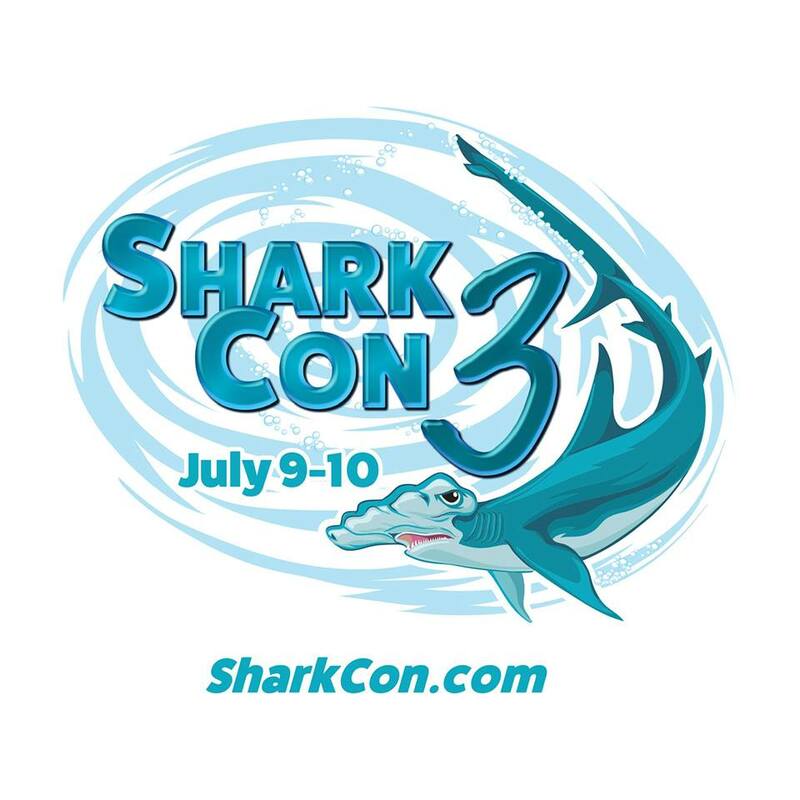 Nothing could be more fun, and that’s why we went to SharkCon 3 in Tampa, Florida on July 9th and 10th. The daily admission to SharkCon is only $14.95 for an adult and the proceeds benefit The Florida Aquarium rehabilitation programs and OCEARCH Shark Expedition Research. The venue is easy to get to and parking is only $6. Dana and I made our way to the Exhibit Hall as soon as we arrived at SharkCon. The event has grown since last year and this year it included 75 exhibitors plus the “Be A Diver” pool. 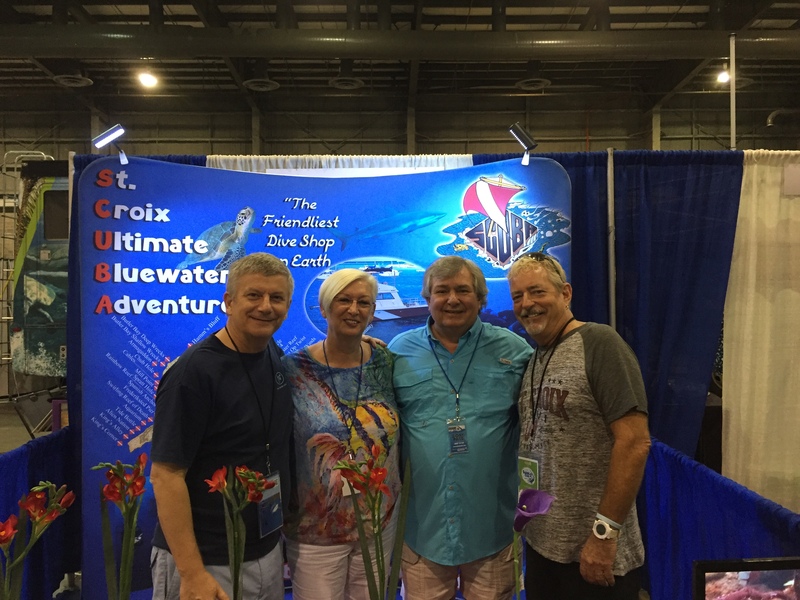 We visited with Dive Industry Association Members; Beqa Lagoon Resort Fiji, Big Blue Aquatic Gifts, Lita’s No-See-Um No More, NAUI Worldwide, Roatan Charter and St. Croix Ultimate Bluewater Adventures. They all agreed that exhibiting at SharkCon is a great way to meet divers from the Tampa area and people who have are interested in learning to scuba diving. Hanging out with “Big Wave Dave” by the Be A Diver Pool and seeing first time Scuba Divers experience breathing underwater for the first time is always a fun thing to do. Of course, hanging out with the lovely Mermaids at the Mermaid Pool was at the top of my list. We even got the Mermaids on Video. I always knew they were real! At SharkCon there is always something to do for both Adults and Kids alike. And I don’t just mean the mechanical Great White Shark ride. Everyone can attend any of the 17 in-depth seminars and be entertained by the “Left Shark Dancers.” In the exhibit Hall there are Touch Tanks, a Shark Tooth Sand Dig, SeaWorld Exhibits, an Ocean Bounce House, a Shark Slide, and much, much more. A special treat this year was the two Shark Weddings. As always, Local Event like SharkCon 2016 are covered in depth on social media by Southeast Dive News, DIVE LOCAL, and Dive Industry Association. You can see more pictures and videos on these three sites. We are looking forward to returning next year and seeing our old friends and meeting new ones. This entry was posted in Events & Activities, Local Diving, Trade & Consumer Shows. Bookmark the permalink.